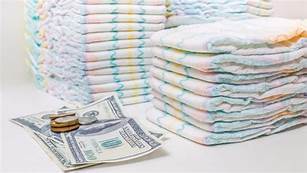 House Bill 60--This legislation will exempt from sales taxation infant and toddler diapers. This can benefit pro-life groups who have material assistance programs, as it might encourage more donations. Introduced by Representatives Niraj Antani (R-Miamisburg) and Brigid Kelly (D-Cincinnati), the bill has been assigned to the House Ways and Means Committee, where it is receiving its first hearing (sponsor testimony) this week. House Bill 68--The House version of the Heartbeat Bill is assigned to the House Health Committee, chaired by Rep. Derrick Merrin (R-Waterville). Sponsors Representatives Ron Hood (R-Ashville) and Candice Keller (R-Middletown) obtained 50 cosponsors on the measure, the number needed for securing floor passage. It is a companion bill to Senate Bill 23. Senate Bill 11-The sexual orientation/gender identity and expression (SOGI) protection bill has been introduced by Senator Nickie Antonio (D-Lakewood). The bill requires, among its provisions, a mandate on all primary and secondary schools in Ohio to teach programs about "discrimination" against sexual orientation/gender identity and the "origins of discrimination", which likely will be a direct attack against the teachings of the Christian church. A "statement" at the end of the bill regarding religious exemption protection in the bill is trumped by a statutory provision earlier in the legislation declaring that the SOGI provisions of the bill takes precedence over any other conflicting law, which in effect eliminates those religious exemptions. Senate Bill 23--The Senate version of the Heartbeat Bill has been introduced by Senator Kristina Roegner (R-Hudson) along with 19 Senate cosponsors. It has been assigned to the Senate Health, Human Services and Medicaid Committee, which held sponsor testimony last week, with supporter/proponent testimony this week (and 32 people signed up to testify, including representatives from the Catholic Medical Association and the Charlotte Lozier Institute). The committee chairman Senator Dave Burke (R-Marysville) has announced a proposed schedule of opponent testimony and amendments on Feb. 26th and open testimony (all sides) and possible vote on March 5th. Senate Bill 27--The fetal remains dignity bill had been reintroduced by Senator Joe Uecker (R-Clermont County) and assigned to the Senate Health Committee. 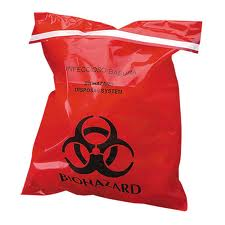 The bill would require the humane disposal of the bodies of children slaughtered by abortion, ensuring they don't wind up in landfills. The mother (or the provider if the mother doesn't choose) would have to choose burial or cremation, and a form would have to accompany each set of remains to the funeral home or crematoria. This form also has to be submitted to the Department of Health, which will make tracking and auditing much easier. Ohio HeartBeat Bill, failed to override Kasich's veto by one vote in the Ohio Senate on Dec 27, 2018. After much effort by pro-life organizations and legislators, the Ohio Heartbeat Bill, which would have prohibited abortions after a heartbeat was detectable by external methods, failed to be made law. Earlier in the month, both the House and Senate passed the bill and then Governor Kasich vetoed the bill as he said he would do. The Ohio House then reconvened and voted to override the veto. Now up to the Ohio Senate which reconvened on December 27, the vote to override the veto FAILED by one vote when a prior supporter of the bill changed their vote. Thousands of lives were at stake and this disappointing result failed to save them. ONE vote does matter - please respond to calls for action and let your representative or senator know where you stand as we move forward to advocate for similar pro-life bills in 2019. TOLEDO-- Rather than doing the job the people of Ohio pay them to do, including supporting the Ohio Human Heartbeat Protection Act (House Bill 258) over against a veto by outgoing Governor John Kasich, some Senate Republicans refused to deliver the necessary votes, thus ensuring that the bill would have to be reintroduced in the next Assembly. The Ohio Human Heartbeat Protection Act, more commonly referred to as "the Heartbeat Bill", is a bill that mandates that an abortion provider must test for the presence of a fetal heartbeat of a pre-born child when the mother presents for an abortion. Should a fetal heartbeat be detected, the law prohibits an abortion from taking place, providing fourth degree felony penalties for an abortion provider who violates the statute. "Ohio will remember those who balked at providing the strongest protections possible for these children" stated Margie Christie, President Elect of the Right to Life Action Coalition of Ohio (RTLACO) and Acting Executive Director of Dayton Right to Life. "The lack of commitment of those members of the Senate who refused to provide the votes to make this happen after an eight-year journey will be recorded." The House and Senate guided their chambers to provide sufficient votes during the initial passage of the bill to ensure the 3/5 margin necessary to negate the Governor's action, with the House voting 60-35 and the Senate following suit in a vote of 18-13, with two members who supported the bill absent that day. The Governor vetoed the measure on December 21st. The veto override attempt was successful in the House, with a vote of 60-28, but failed 19-13 after Senators Matt Dolan of Cleveland, Stephanie Kunze of Columbus, John Eklund of Geauga Co., Gayle Manning of Lorain and Bill Beagle of Dayton would not vote for the override. "It is ironic that John Kasich vetoed this life-protecting bill on the longest night of the year" noted Molly Smith, RTLACO Vice President. "It's also sad that some of these legislators would rather curry favor with a lame-duck Governor than to vote to protect life when it counts the most." Ed Sitter, President of the Right to Life Action Coalition of Ohio, also pointed out that the stoppage of this bill does not preclude it and other pro-life bills from being introduced in the upcoming 133rd session of the Ohio General Assembly, which begins in January. "We have a full slate of initiatives to pursue, as we acknowledge that it will still take some time for the Heartbeat bill to be finalized in the Assembly. With public statements from Governor-elect DeWine that he will sign Heartbeat, we will not be resting on our laurels but will continue to push for protections for life at every stage, from conception to natural death." ​New Mexico assisted suicide bill will extend assisted suicide to all 50 states by allowing suicide tourism. New Mexico House Bill 90 was introduced by Deborah Armstrong (Dem) to legalize assisted suicide. The bill is referred to as The Elizabeth Whitefield End of Life Options Act. 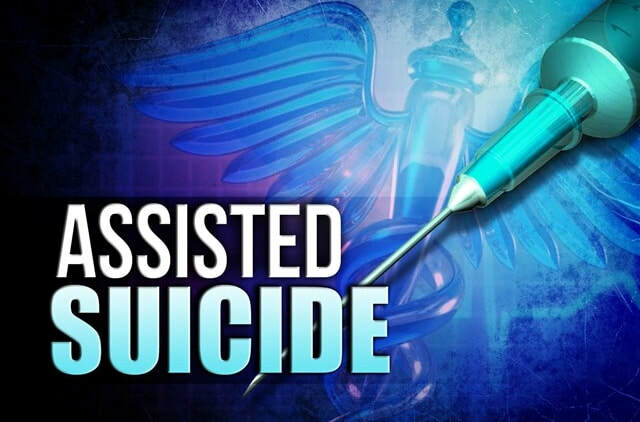 Since HB 90 does not have a residency requirement and it allows assisted suicide to be approved via telemedicine, if legalized, Bill HB 90 will allow suicide tourism and in practice legalize assisted suicide in all 50 US States.